Top 10 Reasons Why the IMRS 2000 is Better than the BEMER. ...not MLM Hype & Unproven claims). I have people ask me all the time, which is better, the IMRS 2000 or the BEMER? In my opinion the IMRS 2000 and the BEMER are the two best PEMF system on the market right now. I really don't think you need to look at any other devices. There are far more healing stories from both than all other PEMF devices available in the U.S. They both use low frequency, low intensity waveforms with a complex triple wave-packet with many layers of frequencies and intensities that resonant with bodily tissues. Plus much more as you will see in this article. All hype and MLM marketing propaganda aside, if you stick with the FACTS and the numbers and features listed in each respective owners manual, the IMRS 2000 edges the BEMER in 10 important areas discussed below. Personally I have owned both and been a distributor for both. I have owned the BEMER 3000 and the current BEMER Classic. I have also owned and used the MRS 2000, Omnium 1 and older MRS 2000 and even older yet vitalife MRS 2000. Additionally I have owned another 14 PEMF brands, both low and higher intensity and tried pretty much most brands available in the U.S. In my opinion the iMRS 2000 and the BEMER are THE TWO to consider. So which is better? Here are my top 10 reasons why I currently own, use and recommend the iMRS 2000 over the BEMER. Most research on PEMF signals consistently shows that frequencies in the range of 0-30 Hz, especially 0-30 Hz have the greatest therapeutic value. 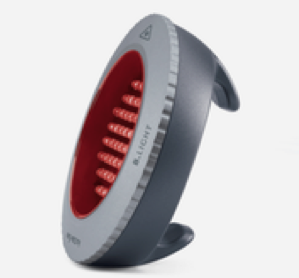 Both the iMRS 2000 and BEMER are roughly in this range but the iMRS 2000 has 4 settings and is more closely aligned to the circadian rhythms of the body (see next section). The BEMER is a little on the high side and doesn't hit the theta and delta frequencies for ideal sleep frequencies at nighttime. Make sure to check out the Book, PEMF - The 5th Element of Health (chapter 5) for a detailed look at the body mind-earth-connection and the 0-30 Hz frequency range. ​The iMRS 2000 has a built-in biorhythm clock using the frequencies listed in the last section of .5, 3, 5.5 and 15 Hz. This is great because it gives you the right frequency for the time of day. The Bemer Classic and Bemer Pro have ONLY two frequency settings of 10 Hz and 33 Hz (straight from their company FAQ brochure). The 33 Hz daytime setting on the Bemer you will notice is above the Beta range, which is a little to high and may be irritating or agitating for sensitive people. But this is the standard setting, which Bemer recommends starting with in their protocols. It is not until week 7 that the Basic Plan presented by Bemer recommends using the sleep program. ​Also once you start using the sleep program, the 10 Hz is alpha and yes relaxing BUT not ideal. Ideally the sleep frequencies should be lower in delta - theta range (0-5hz) before bedtime to induce deep sleep (like the iMRS 2000 which has a theta and delta setting). This is why the iMRS 2000 gets MANY more positive reviews for better sleep than Bemer or any other PEMF device. The iMRS probe has one thick, copper tightly wound copper coil with many turns all the way from bottom to top. This gives a VERY strong magnetic flux for maximum focus and penetration depth. ​Also 10 intensity settings but all in 3.5 - 100 uT range. Discussion: The iMRS applicators have a better and wider range of intensities than the Bemer applicators. They go both higher and lower. ​First, the iMRS 2000 system uses the proven saw tooth waveform on its full body mat which provides the cells with a full-frequency spectrum simultaneously that will resonate with different tissues. As Siskin & Walker showed different tissues in the body respond to different frequencies, primarily within the 0-30 Hz range. When you use a saw tooth and the harmonics of a saw tooth you are getting a broader frequency spectrum. ​One of the ways to understand why a rapid rise and fall works better is that you need an abrupt change to create ion transport across the cell membrane to create energy. As an analogy, think of starting a fire with a piece of flint and stone. You strike the stone with the flint quickly and abruptly to create a spark/energy. This is like a sawtooth or squarewave motion. ​The Bemer Signal is essentially a complex sinusoidal waveform and is used on ALL Bemer mats, pads and applicators. It is not a rapid rise and fall like a sawtooth or a squarewave. This signal is still much better than cheaper PEMF devices that use sine waves and repeating signals. But the iMRS just comes out slightly on top. I had some fun dissecting the iMRS 2000 and BEMER Full Body Mats (and applicators). What is very striking is the iMRS 2000 uses very tightly wound pure copper, where the BEMER uses plastic tubing to surround their coils. They both use 3 pairs of circular coils but BEMER uses Oval at the legs (which is not ideal). Also the iMRS had up to 45 TURNS at the feet, 30 at the torso and 15 at the head. This graduated intensity is important to give your body more energy where it can handle it and less where it is sensitive (head and neck). This is very important because the legs and feet can handle a higher intensity than the thyroid and head/neck (which are the most sensitive area). This is much better for people that are chemically sensitive and/or electrosensitive in that the head and neck/thyroid can be easily over-stimulated and irritated. The head and neck is definitely more sensitive than the feet and we have worked with hundreds of people and found this out firsthand. So this is a big advantage of the iMRS over the BEMER for sensitive individuals (along with the FACT the iMRS can go 10x lower in intensity when needed). BEMER uses around 17 turns by my count on ALL THREE. No graduated intensity. Circular loops with multiple turns need to be tightly wound with no spacing to yield the cleanest and purest pulsating magnetic field possible, like the iMRS 2000. Also this allows for more higher harmonic frequencies because the signal is a higher fidelity. Think of a high end stereo sound quality versus a lesser stereo system. The coils ARE the speaker system of your PEMF device. Don't you want the highest quality signal? 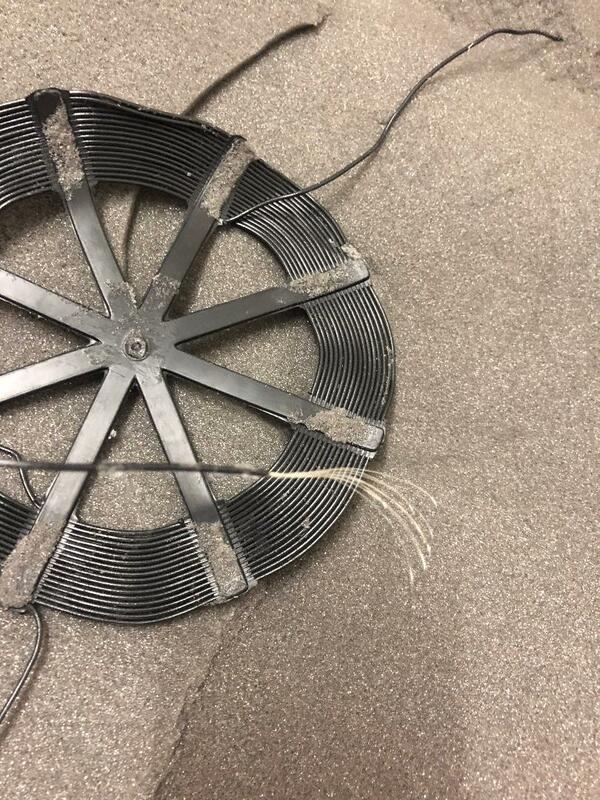 Surrounding the copper with plastic tubing may help to make the mat more flexible, but at the cost of a lower quality signal. The added spacing allows the field lines to bleed off a bit and diminishes the higher harmonic frequencies. Pure tightly wound copper will give you a better signal to noise ratio... That means cleaner signal, less noise. Closeup of Bemer Coil surrounded by plastic tubing. The iMRS 2000 pillow pad has TWO coils exactly like the ones in the full body mat. Tightly wound, perfectly circular pure copper and many turns for maximum magnetic flux. The BEMER B.pad is a belt of sorts that has a long oval wound coil also surrounded by plastic tubing that is less than ideal for giving you a pure pulsating field. At least the BEMER full body mat had circularly wound coils, but the B.pad will give you a very spread out field that is not exactly a pure pulsating magnetic field. I created an in depth article as to WHY you want a perfectly circular current Loop for the BEST possible PEMF. Click Here or Use the link below. B.Spot – The Bemer BSpot for local Applicator is NO COMPARISON to the iMRS 2000 probe. Below is the INSIDE of a B.Spot we took apart which has only a couple little tiny copper coils. That will NOT give you very much magnetic Flux. This weak field will not penetrate deep at all for local pain relief healing and regeneration. BIG advantage to the iMRS 2000 for local application. This is the ONLY Applicator you get with the Bemer Classic Set! In all fairness, AT LEAST the B.Spot DOES use perfectly circular coils compared to the B.pad that DOES not. ​The iMRS 2000 Probe has over 100 turns in the copper coils with a ferrous core that maximizes magnetic field flux, strength and penetration depth. Night and Day difference to the B.Spot. **NEW INFORMATION** Another Big Problem with BEMERS COILS - A Shocking Look Inside (More to come soon) 2 pics of an open BEMER coil-wire! As far as we can identify, it is not even copper wire inside, looks like aluminum. 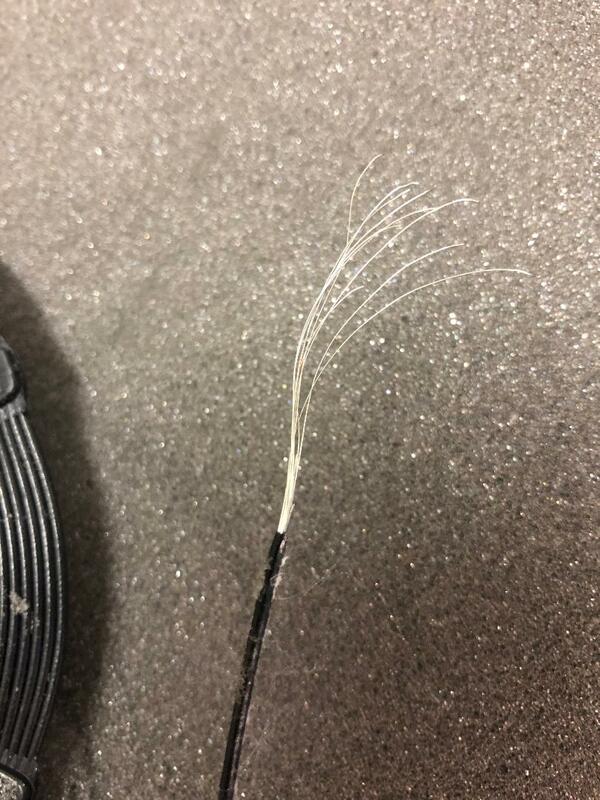 The single wires are thin like a human hair and typically twisted like speaker cables. The entire diameter of the cable incl. the insulation is around 1mm!!! If the material they use is aluminum, which we think, here is a little scientific information on aluminum not being an ideal conductor. Bottom Line: BEMER use a cheap material, covered by a plastic insulation, the diameters they use are by far smaller than the iMRS 2000 and due to the worse conductivity properties of aluminum and the higher resistance factor, they would have to use almost double the diameters we use in our solid copper coils to reach the same performance. This is unreal as the coils would become very bulky and cannot be rolled anymore anyway. Their induction properties and capabilities are nothing comparing to the iMRS 2000! This is a HUGE advantage of the iMRS 2000 over both the Bemer Classic and Pro. ​What this means is that the benefits you get with the iMRS 2000 will not decrease or wane over time. There is no need to take time off with the iMRS or cycle it like 5 days on, two off, etc. B.Light is a LED therapy applicator used by Bemer. This is a nice addition but the truth is there are better LED systems on the market (even Amazon) and you can use ANY good LED system with any PEMF device. ​The iMRS 2000 has an iGuide for practitioners with a Built in Database of 284 health conditions and pre-programmed settings for the full body mat, pillow and probe and all the 4 biorhythm settings (which automatically come up based on time of day). This adds up to OVER 3400 total protocols. ​The iMRS Wellfit and Bemer Classic are the entry level systems for both brands and very similar in what they offer (though we have shown the advantages of the iMRS). Both systems have a control unit, full body mat and one local applicator. iMRS Costs $5264, Bemer $5990. This is comparing comparable systems, apples to apples. Both iMRS and Bemer offer even more accessories but in each case of comparisons, the iMRS comes out $500 - $800 less when comparing comparable packages. Plus iMRS usually has promotions to FURTHER save you $400-$1000 or more. Become a member and you’ll receive notifications of our sales and promotions. But even after making this comparison, I DO feel the BEMER is the second best unit out there and if you get a BEMER you should get great results as you are getting a worldwide leader in PEMF (along with the iMRS). Both the iMRS 2000 and BEMER are THE two PEMF devices I would consider and in my opinion the edge goes to the iMRS 2000 for all the reasons I mentioned. Also I personally have had experience with BOTH and prefer to use myself the iMRS 2000. My reasons are I noticed better sleep with the IMRS, I REALLY like the biofeedback and better range of frequency and intensity settings and for local pain relief (when needed), I think the iMRS applicators are better in terms of waveform, signal and penetration for deeper healing.